As an orthopedic physician, Dr. Jane Hoashi treats all types of medical issues, including acute and chronic musculoskeletal injuries as well as osteoarthritis in the joints. She treats patients of all ages and all types of musculoskeletal injuries from sprains, fractures and spine-related injuries and pathologies. She also performs ultra-sound guided injections, including large joint injections for osteoarthritic joints. Dr. Hoashi accepts multiple insurance plans as well as BWC and Personal Injury. Dr. Hoashi is a native of California and has been active in the Cleveland medical community since 2013. She has written numerous publications and presented numerous topics at international orthopedic conferences. After spending over 14 years in Spain, Dr. Hoashi speaks fluent Spanish. In addition to English and Spanish, Dr. Hoashi also supports Valencian and Catalan languages. During her downtime, Dr. Hoashi likes to travel, enjoys physical fitness including yoga and the music scene in Cleveland. Jessica Gross FNP-C, is a board-certified Family Nurse Practitioner through the American Academy of Nurse Practitioners. She earned her Bachelors of Science degree in Nursing from the University of Toledo and her Masters of Science degree in Nursing from Otterbein University. She is also certified in Functional Medicine, Polarity Therapy, and as a Holistic Health Advisor. Jessica’s prior experience as a registered nurse was predominantly in the acute and intensive care setting. Working in that field, she has clinically seen the effects of under-managed chronic diseases. The desire to educate people on prevention and wellness in order to avoid these effects is what motivated her to further her education in Nursing and become a Nurse Practitioner. Jessica’s experience as a Nurse Practitioner has been as a member of an interdisciplinary team that has included chiropractic doctors, exercise physiologists, nutritionists, and massage therapists. She provides services such as trigger point injections and joint injections to quickly decrease pain and increase mobility. The use of both conventional and complementary therapies and treatments promotes healing to the fullest. Larry Whetsell brings twenty years of medical experience to Atlantic Medical Group including nine years as a combat medic in the Army and eleven years as an emergency room nurse, and now as a nurse practitioner. Tiffny Trenka received her Bachelor’s of Science Degree with high honors from Western Michigan with a focus in Occupational Therapy. Tiffny worked in rehabilitation and traveled throughout the United States providing comprehensive care to a diverse medical population. She performs trigger point and joint injections, including Regenerative Therapy treatments, at Ohio Healthcare Partners. Tiffny then went on to obtain a Masters of Science in Physician Assistant practice from Nebraska State University. She specializes in Physical Medicine and Rehabilitation and has a special interest in alternative treatments. During the course of study at Life University, Dr. Lubrani applied special interest to both extremity and pediatric adjusting techniques. He has post-graduate certification in many different techniques including physical therapeutics. The highlight of his schooling was being selected to participate in the “Mission of Lights” trip to Brazil that seeks to educate and provide care to the Brazilian population. Upon graduation, Dr. Lubrani has practiced in Georgia and California before returning to his home state of Ohio. Dr. Nicholas Fabian’s interest in chiropractic care was sparked by years of physical abuse through sports and consequently suffered from many musculoskeletal aches and pains that come with being physically active. After his first chiropractic adjustment at the age of 26, Dr. Fabian knew what his calling in life was. Upon completion of high school, Dr. Fabian attended Mount Union College where he received his bachelor’s degree in Sports Medicine and Exercise Physiology. Dr. Fabian then went on to receive a master’s degree in Exercise Physiology from the University of Louisville. Dr. Fabian thought as an assistant professor for five years at the University of Louisville before receiving his first adjustment. Dr. Fabian enrolled at Sherman College of Chiropractic the next year. Dr. Lauchlin W. McKeigan is from Cape Breton Island in Nova Scotia, Canada. He attended the University of Western Ontario where he earned a Bachelor of Science in Biology and Environmental Sciences as well as Honours Standing in Ecology and Evolution. He graduated from the National University of Health Sciences (formerly called National College of Chiropractic) in Lombard, IL with a Bachelor of Science in Human Biology and his Doctor of Chiropractic in 2000. His post-graduate education includes a certificate in Manipulation Under Anesthesia and Pain Management both from the American Academy of Manual and Physical Medicine and the University of Bridgeport as well as Certification in Electrodiagnosis and Needle EMG testing from the National University of Health Sciences. Dr. McKeigan has had a busy practice in Shaker Heights since 2003, where he treats numerous conditions such as low back pain, neck pain, mid back pain, headaches, carpal tunnel syndrome, shoulder, elbow, hip, knee and foot pain. He can test to see if someone has nerve damage by performing a NCV/EMG study. He has a spinal decompression table that is very effective in treating herniated discs in the low back and neck. Dr. McKeigan treats work and car accident injuries. He also helps those that have major medical insurance, Medicare, and Medicaid. Dr. McKeigan takes a multidisciplinary approach to treating his patients and has a network of providers he refers to including pain management, orthopedic surgeons, neurologists, and acupuncturists. He has a massage therapist on staff readily available for all patients. Dr. Jessica Dilley first became interested in Chiropractic after recovering from a sports injury in high school with the help of chiropractic care. She received her Bachelors of Science in Biology from the University of Akron. While in college, she continued to be active in intramural sports and decided to pursue her education in Chiropractic. She received her Doctor of Chiropractic degree from National University of Health Sciences in Lombard, IL in 2012. While attending National, Dr. Jessica was trained in numerous adjusting techniques and rehabilitation therapies. Her post-graduate training includes the McKenzie Method, Graston Technique and she just recently became certified in FAKTR technique. Dr. Dilley seeks to improve her chiropractic patients’ health and wellness in all areas of their lives. She is excited to teach patients the importance of functional movement to get them back to optimal health and activities through chiropractic. When not in the office Dr. Jessica enjoys being active playing co-ed softball, being outside, hiking, working out and spending time with her family, friends and dog, Ollie. Moumita Majee D.C. is a functional medicine practitioner who is board certified Chiropractor in the state of Ohio. Dr. Majee is very passionate about healing her patient as well as educating the world regarding the human body’s natural ability to heal itself. She believes that we have the potential to create it on our own. Hence, she empowers her patient with the knowledge of functional medicine and gives them the healing touch of Chiropractic so that they can take control of their own health. Dr. Majee earned a Bachelor of Science degree in Biology from the University of Maryland Baltimore County and a Doctor of Chiropractic degree from the University of Bridgeport College of Chiropractic. Currently, she is pursuing advanced training from Institute for Functional Medicine. In this process, she will be able to broaden the services that she provides because of her dual training in chiropractic and functional medicine. She is a busy mom and a loving wife who loves to cook authentic “ayurvedic” style Indian food for her family and travels in her spare time. Dr. Elias Arnitsis completed his undergraduate studies at New York Institute of Technology and North Lake College. He holds a Bachelor of Arts in Medical Sciences, Bachelor of Science in Human Anatomy and a Bachelor of Science in Health and Wellness. Dr. Arnitsis completed his Doctorate of Chiropractic at the prestigious Parker College of Chiropractic in Dallas, TX. Prior to joining the team at Ohio Healthcare Partners, Dr. Arnitsis gained valuable expertise in adjusting techniques that are based on the latest research in neurophysiology. His prior experience includes working with professional athletes from teams such as the New York Giants, the Minnesota Vikings, and the New England Patriots. His expertise in workers compensation, personal injury as well traditional insurance will ensure that your patients receive the care they need and the follow-up your office needs to manage these cases. Dr. Arnitsis is experienced in various chiropractic techniques and is a positive addition to our integrated medical facility. 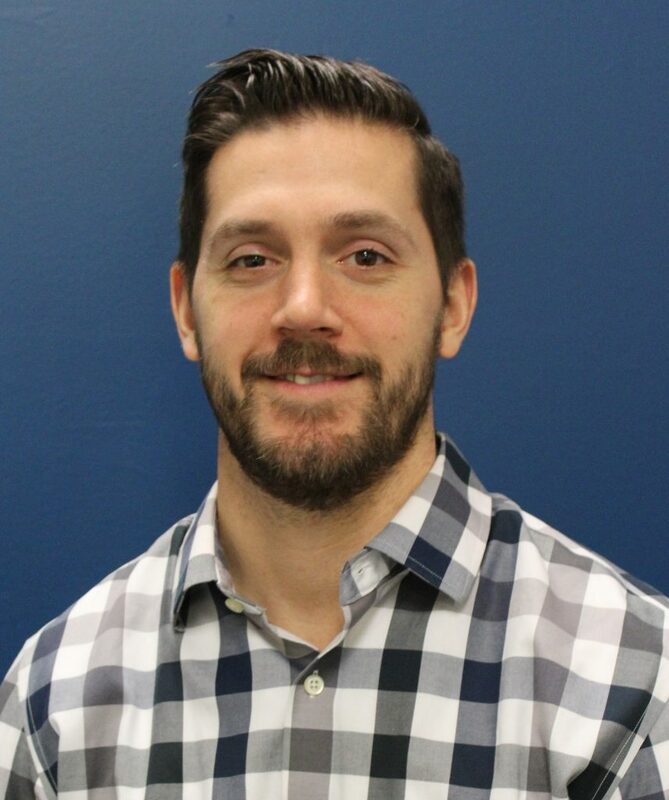 Dr. Greg Prybylski is a 2006 graduate of SUNY Buffalo State College, where he also played four years of college Hockey with the Bengals. He attained a Bachelor of Science degree in Health and Wellness with a minor in Biology and Coaching. In 2007 he followed his passion for health and desire to help people by pursuing a career in Chiropractic. He received his Doctor of Chiropractic degree from Palmer College of Chiropractic in Davenport, IA in 2010. While attending Palmer, Dr. Greg was selected to be an intern in the Sports Injury and Rehabilitation department. Dr. Greg utilizes many different techniques to suit the needs of all types of patients. These techniques include Diversified, Gonstead, Thompson, Activator, Flexion-Distraction and Myofascial Release, as wells as being certified in the Graston Technique. Dr. Greg was fortunate enough to travel to Morocco to treat and educate the underserved population on a “Clinic Abroad” trip. He is also pursuing certification to become a chiropractic wellness practitioner. Dr. Greg seeks to improve his chiropractic patients’ health and wellness in all areas of their lives. He likes to treat the whole person in his work as a chiropractor, which means looking for the underlying causes of disease, discomfort, and pain, which usually arise from imbalances in the spinal column. Under Dr. Greg’s supervision and care, patients report higher functioning in all areas of their lives. Dr. Schober, originally from Avon, Ohio, completed an undergraduate degree in Communication Studies at The College of Wooster. Dr. Schober successfully graduated from Logan College of Chiropractic, in St. Louis, Missouri in Dec. 2004. 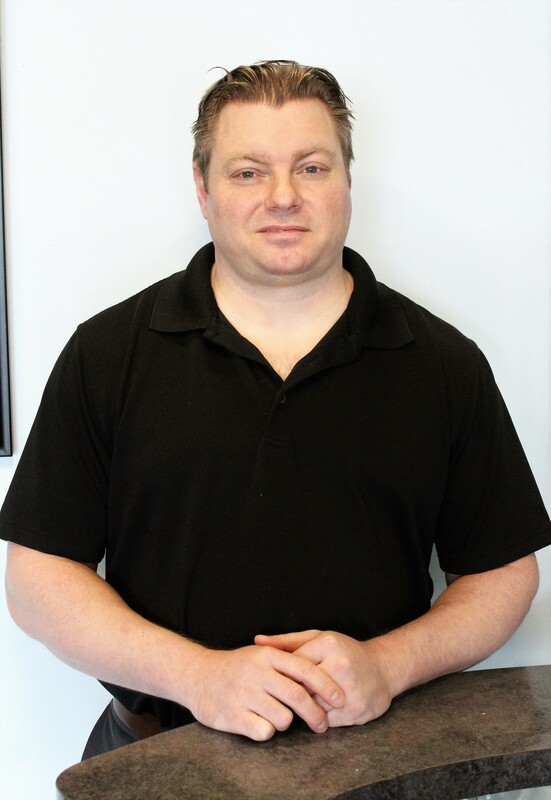 He is presently licensed to practice chiropractic in the state of Ohio. He has successfully completed Parts I, II, III, IV, and PT, of the National Board Exam, making him eligible in for licensure in 44 states. After graduation, Dr. Schober briefly worked as an independent contractor in downtown Chicago before being recruited to work as an associate/clinic director for one the largest chiropractic corporations in ChiroOne of Chicago, Illinois, which has since expanded to Kentucky and Texas. While with the aforementioned organization, Dr. Schober had the opportunity to work with and be personally trained by some of the top nationally recognized chiropractors in the country, including 2007 Parker Las Vegas Seminar International Chiropractor of the Year, the 2008 Parker Las Vegas Seminar Chiropractic Assistant of the Year, the Director of Marketing for an internationally renowned chiropractor and author of “Body by God” Ben Lerner, and 5 additional chiropractor leaders who achieved top 5% status in their profession. Also, within this organization, Dr. Schober had the opportunity to work with multiple young fresh doctors whom continually contributed new and cutting-edge ideas concerning practice and patient management. Following a brief period in Kentucky, he returned home to Cleveland, Ohio where he was again recruited and subsequently joined one of the largest chiropractic organizations in the country. For the previous four years, Dr. Schober has been honing his practice skills on the east side of Cleveland, operating as the clinic director and sole operator of the aforementioned organization’s clinic. Throughout his previous 7+ years as a chiropractor, he has compiled extensive clinical experience from top leaders in the profession, as well as maintained a pulse in his local community throughout the Cleveland area. Dr. John Pinghero grew up in Florida, and after graduating from high school, pursued a pre-medical education at the University of Florida (GO GATORS). He graduated in 1995 with a Bachelor degree in Microbiology and a minor in Chemistry and is a US Army Veteran. Upon graduation, he worked for a year at a local hospital, in the pathology department. During that year, he got to know a local Chiropractor and was impressed in regards to the results patients received with Chiropractic care. A decision was made to become a Chiropractor, and he enrolled at National University of Health Sciences in Lombard, Illinois. The Doctor of Chiropractic, as well as an additional Bachelor’s degree, was awarded in 1997. Out of school, Dr. Pinghero moved to Ohio to be closer to his family, and begin working as a Chiropractor. He worked with an area Chiropractor for a year, and then started in a new practice, and still practices there to this day. Atlantic Chiropractic, established in 2001, has steadily grown over the years to provide quality Chiropractic care, as well as associated therapy and rehabilitation for many types of injuries. Dr. Pinghero has extensive experience with personal injury and Workers’ compensation. Providing treatment to injured workers has always been a passion, in an effort to provide treatment, ensure injured workers obtain all the appropriate benefits, and return them successfully to the workplace. Additional Certifications Dr. Pinghero has obtained during his practice include: certification for peer review, examiner for Permanent Partial Examinations (C92) for injured workers, certification in NCV and Needle EMG examinations, and most recently, completed a course for being a Certified Chiropractic Sports Physician (CCSP). Treatment methods include diversified technique and flexion-distraction. A multi-disciplinary approach is utilized for treatment of the patient, including Chiropractic, therapy and physical rehabilitation, as well as medical co-management as needed. Dr. Pinghero works with many area specialists and can obtain the appropriate consultation/referrals as needed, based on the patient’s condition.